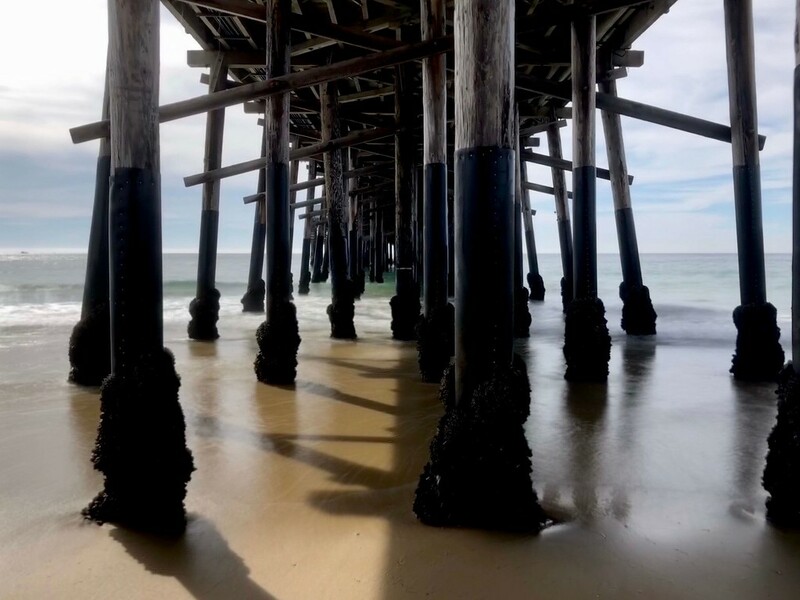 Let’s take a Photowalk to Newport Beach, California! 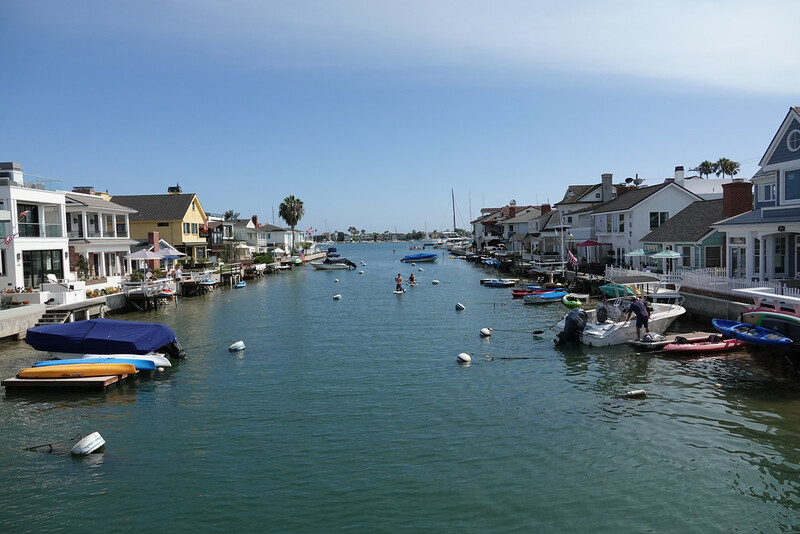 Our road trip down the Orange County Coast Highway continues to ritzy Newport Beach, home to swanky homes, the Fashion Island mall, lots of boats on the harbor and some pretty dramatic beaches. 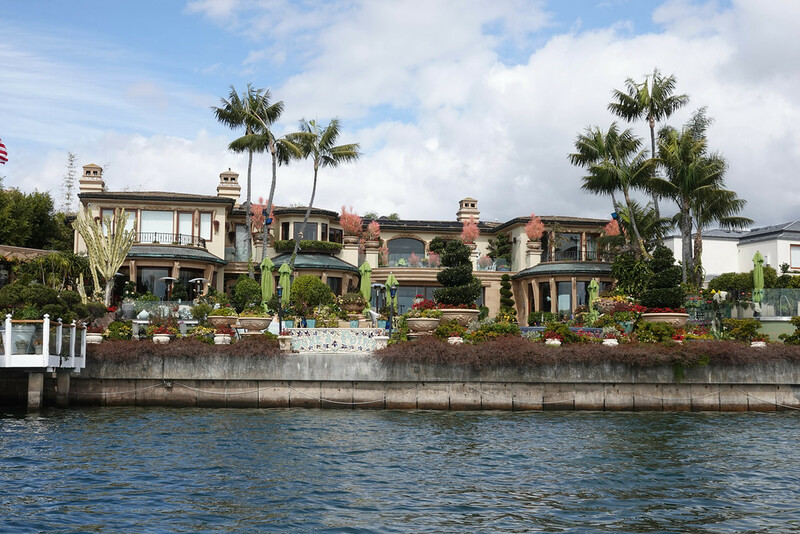 Best of all–a really cool island in the middle of it all called Balboa. 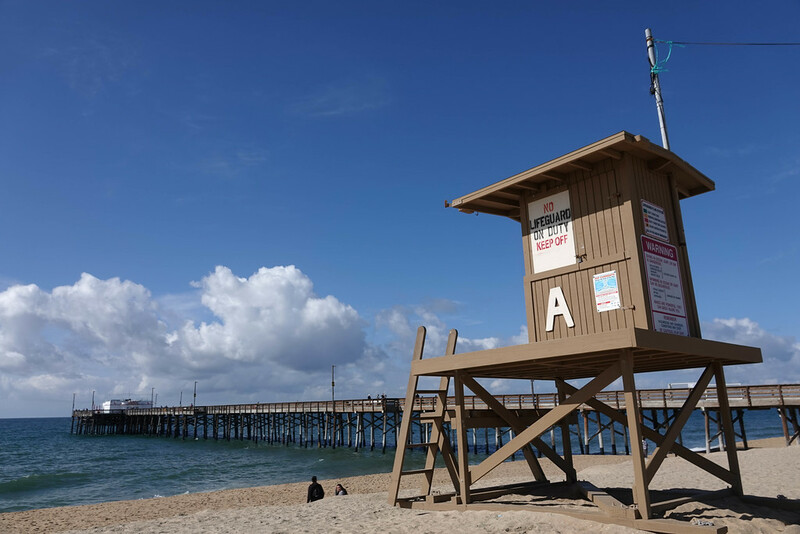 Newport Beach is directly in-between Huntington Beach and Laguna, and it’s about half way between Los Angeles and San Diego. Newport is different from Huntington in that it’s a wealthier vibe, the Beverly Hills of the Orange County beach cities, and not as art focused as Laguna. 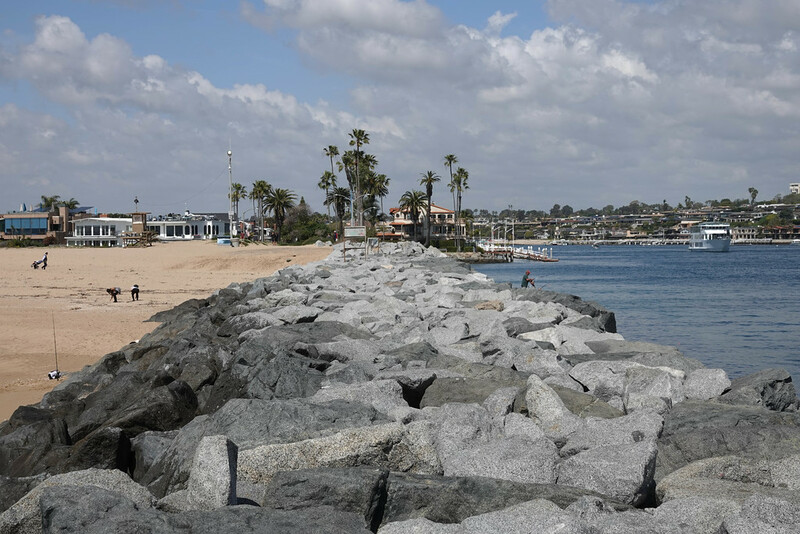 Here those Instagram worthy Newport Beach moments are about boats, water, beaches, rocks, waves and the island life that is Balboa, which is a section of Newport. Newport is about the water and love of boating. One cool thing which I haven’t seen elsewhere: there are parts of the city where you can walk two blocks from the flowing ocean, to the calm harbor. There’s a long boardwalk that runs by the harbor and its two Piers, Balboa and Newport. And the Instagram highlight for most visitors is the Wedge, the top surfing spot. On the other side of the Wedge is the best beach for a Photowalk, dramatic Corona del Mar, with lots of rocks and tidepools, and the Crystal Cove state park just down the road. Finally, you can’t come to photograph Newport and not get in a Duffy. 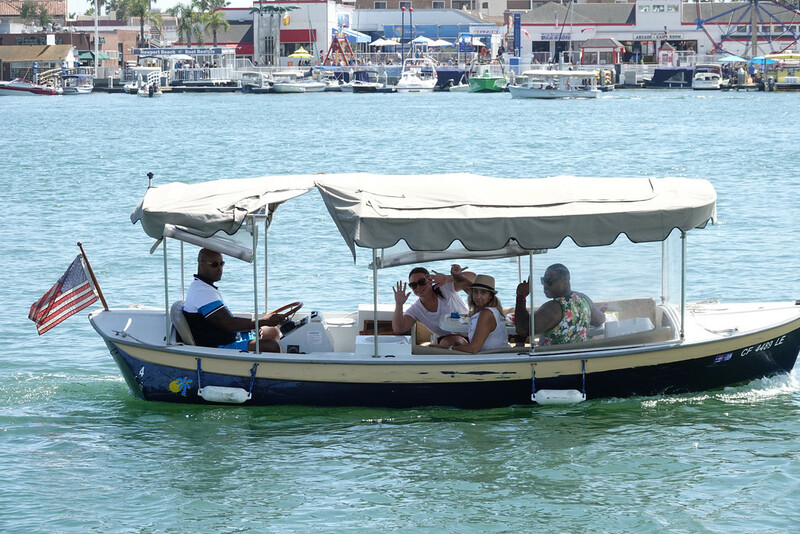 The small, electric boat seats 10, are available for rentals, and are a cool way to see and photograph the harbor. You’ll experience local highlights like the house where actor John Wayne called his home, and oddities like this pirate house, where the owner collects and shows off pirate statues. The harbor is full of Duffys. So have fun, and be on the lookout for things that catch your eye. 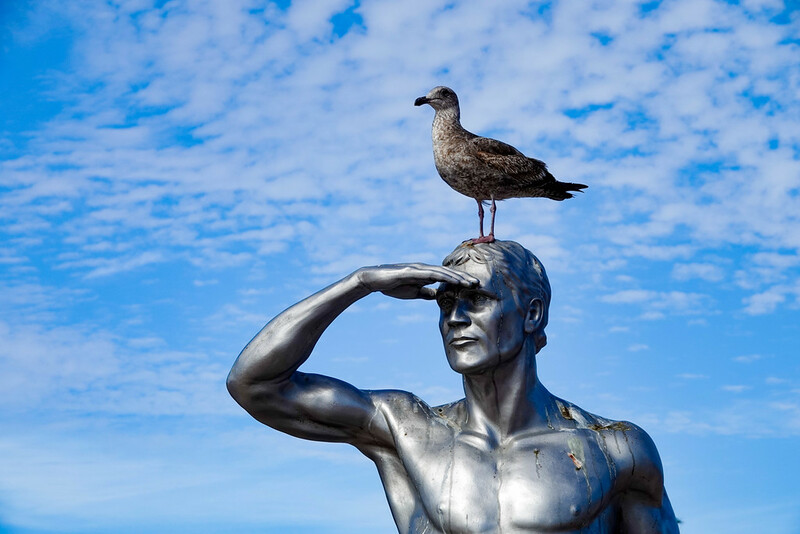 For me, my highlight was having this gull checking out the action atop the statue of a lifeguard by the Newport Pier. I love how they’re both looking in different directions. This is what a #Photowalk is all about.